LONDON : According to survey conducted by Recoup-the prominent plastics recycling consortium, UK may struggle to meet the ambitious recycling targets set for 2017, unless there is a significant progress in the years to come. The country targets 5% annual growth for the next five years, thus taking the plastics packaging recycling targets from 32% to 57% by 2017. The survey which covered all local authorities revealed that kerbside collections, supplemented by bring schemes, are now the predominant method for collecting plastics packaging in the UK. Household recycling contributed to 70% of the total 610,000 tonnes recycled during 2012.The survey data shows that councils are steadily improving recycling levels. There has been a considerable increase in the recycling rate for plastic bottles. 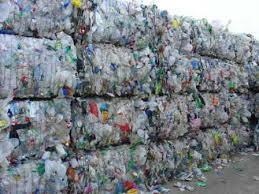 The recycling rate for plastic bottles reached 52% in 2012. There was a huge improvement year-on-year on the recycling rate for pots, tubs and trays, the rate rising to 20%, which is 58% higher than the recycling rates during the previous year. The survey indicates that the household collection must double in order that the country achieves its targets. Recoup says sensible policy and strategic development was vital to meet the new targets, failing which the country may fall short of its 2017 targets.